My Camino de Santiago: Fellow Peregrina! I have found the site of a fellow peregrina from Ontario Canada. Congradulation to Josephine for succeeding on your 4th try! 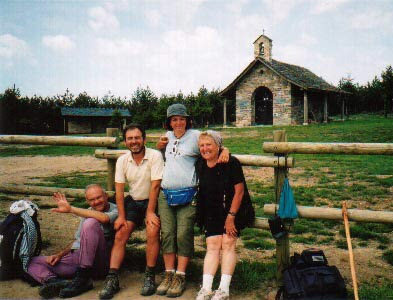 Josephine carried a huge backpack (for her size) on the Camino. The first time I saw her (from behind) I could only see a moving backpack. Although her walking pace is slow, she made a point to start really early in the morning (5 am?). On top of that, Josephine finished her Camino 1 day ahead of me.